More than half of Scotand's malt whisky distilleries are in Speyside. The region is nestled along the River Spey in the eastern part of the Highlands, and can be further divided into eight sub-regions encompassing 49 distilleries. While there are a variety of styles coming out of Speyside, most are light, fruity, and sweet with little or no smoke character. Some are also known for having a nail varnish aroma. Of the sub-regions, Speyside Central holds the majority of the distilleries. 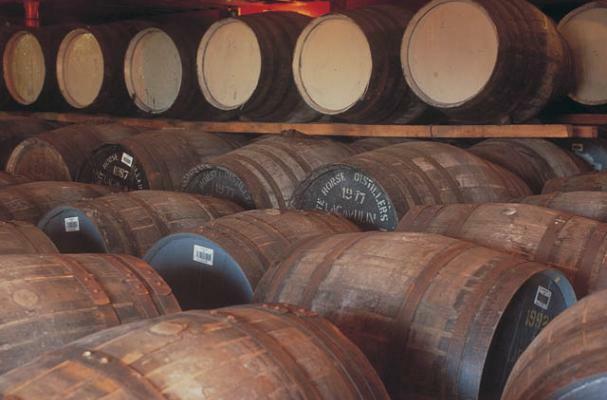 Many of the whiskies are aged in used sherry casks which gives a richer flavor, such as Aberlour and Glenfarclas. A lighter style can be found at Cragganmore. Soft, honeyed and sweet Scotches dominate the Dufftown distilleries, like Balvenie. Glenfiddich is in the same sub-region, and is producing more smooth and mellow whiskies. Deveron has four distilleries, but three of them have been mostly closed and only recently reopened. Livet whiskies like Glenlivet are fresh when young, but can mature into richer styles. Both Rothes and Lossie tend towards the traditional sherried Speyside whiskies, especially those from Glen Moray, Longmorn, and Glenrothes. This is definitely my favorite region! Favorites include the Macallan, almost anything from them, but especially the Cask Strength, and the Balvenie Double Wood. So what are the other two? And can we have a map. I'd like to see the Lossie district delineated. I've never seen this minute division of Speyside before. I fear someone may be pulling your leg.